So, as always, I’ve been working on lots of music. That and setting up a new studio in my new home of Brighton. Lots of new music to come – remixes and original tunes that I’m very proud of. In the meantime, this is something I did for a bit of fun to slip in when I’m DJing. For all those 90’s babies who grew up on 8 and 16 bit games. Let’s Have A Kiki [OLUGBENGA EDIT]. Have been sitting on this one for a little while now. Very pleased to let people hear it. Also pleased to be in a remix line-up that includes 2 Bears. The rest of the E&B exclusives are up now. 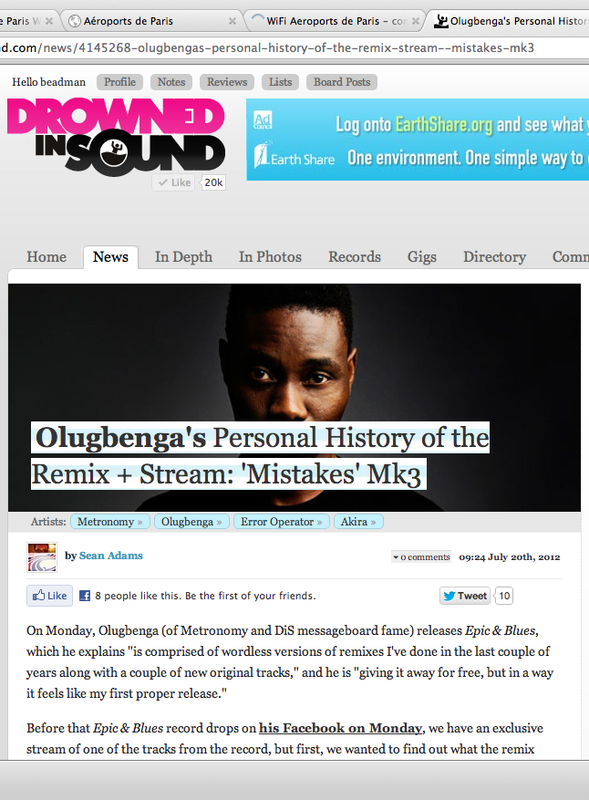 Thanks to Dazed, Mixmag and my good old pals at Drownedinsound. 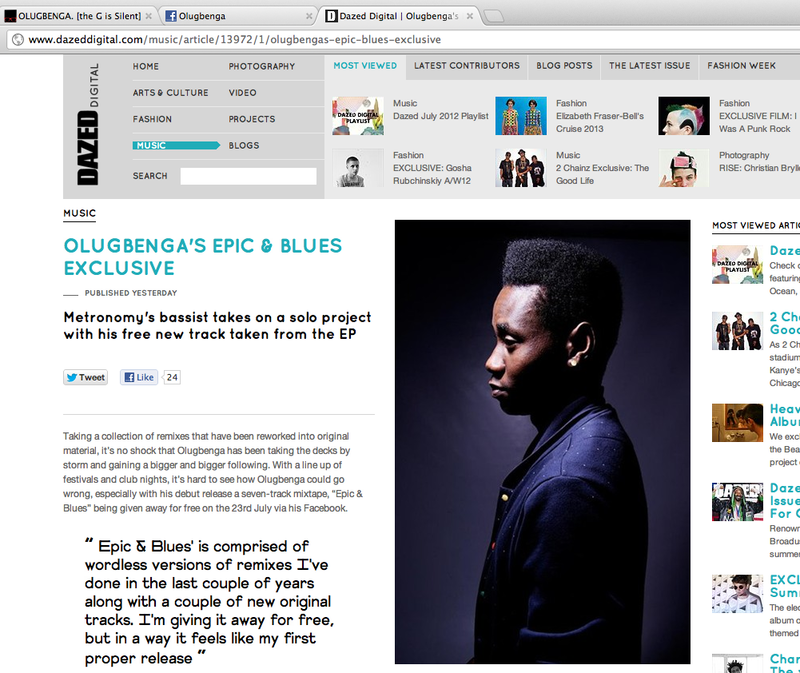 WHAT THE •••• IS AN OLUGBENGA??? I play bass guitar and sing in a band called Metronomy. When I'm not doing that, I write music, DJ and remix other people's tunes. Find me on Twitter and Soundcloud too.